Legislation was introduced immediately by a bipartisan group in Congress to delay the effects of FEMA’s new law. The Homeowners Flood Insurance Affordability Act of 2014 was intended to repeal and modify the Biggert-Waters Flood Insurance Reform Act of 2012. This new law slows the rate of increases. It also offers some relief to homeowners that were previously affected by the steep increases in flood insurance in 2013 and in early 2014. The National Flood Insurance program’s new rates took effect on April 1, 2015. Premiums for individual policies in high risk areas increased as much as 25%. Surcharges from $25 to $250 will also be added to the cost of those premiums. The actual cost of the surcharge is based on whether the home is a primary residence or a second home. According to FloodSmart.gov the average cost of flood insurance was around $700 in January of 2015. Here is a breakdown on some of those changes that took place April 1, 2015. I have included a screenshot of the capped rate increases for 2015 below. (Source FEMA) In most cases rates are capped at 15%. However once other fees are included, this number could actually be nearer 18% for most homeowners. The maximum deductible for a flood insurance policy will increase to $10,000 for single family and two- to four-family dwellings. This deductible must apply to both building and contents. Choosing this deductible will result in a lower premium for single-family homes, however it may not be allowed by lenders to meet mandatory purchase requirements. Before you choose this higher deductible, you will need to ask yourself if you are prepared financially to cover this $10,000 deductible if a loss should occur. There are different rates for the Special Flood Hazard Area (SFHA). Homes recently mapped into the Special Flood Hazard Area (SFHA) will have a lower flood insurance cost option in some instances. “According to the federal flood program the average claim in the US was about $42,000. What Is At the Root of the Premium Increases? Premium increases have been put in place because the National Flood Insurance Program is $24 billion in debt, in large part due to losses incurred during Hurricanes Katrina and Sandy. Folks living in coastal areas are definitely hit the hardest. 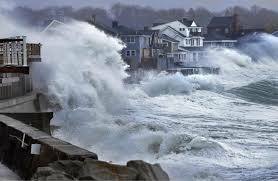 In many cases the rates charged to policyholders do not reflect the actual risk of coastal living. By some estimates about 20% are supported by subsidies that keep rates lower. It’s important to understand that not all coastal homes are owned by the affluent. Many of the homes destroyed by hurricanes along the east coast such as the ones in New Jersey were owned by working class families. Will My Rates Automatically Increase 18% Annually? According to Realtor.org the answer is no. It is reported that FEMA will set the rates for each year according to a cost analysis, but 18% is the upper limit on how high they are allowed to raise the rates in any given year. According to this article historically the rate increases have been about 5%. Previously FEMA would have been permitted to raise rates as much as 40% so long as the average increase didn’t exceed 20%. Their reasoning is that the new 18% upper limit could be a significant reduction from previous rates. How Much Risk Are Real Estate Investors Willing to Assume? Will you be able to find a buyer for your deal? Will a rehabber be able to find a buyer that can afford the additional cost of flood insurance or that is even will to assume the risk of the uncertainty of future flood insurance premiums? Ultimately, you will have to decide whether it makes sense for your business and whether or not the risk and uncertainty is something you can live with. 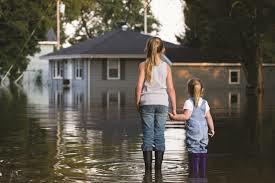 Flood Insurance is mandatory in almost every case where the buyer will get a mortgage. It’s not always obvious that a home is located in a flood plain, so you should always check to see if the investment property you are considering is located in one of these areas. It doesn’t necessarily have to be a large body of water. It might simply be a matter of poor drainage that lands a home in a flood plain. You can look up your area by typing in “flood plain determination + your county. For investors in my area, you can click on the link below. Here is an article on the impact this has had on home sales. I’m sure you can find similar stories like the one below for your area if you are impacted by the new flood insurance regulations. “Flood insurance rate spikes impacting Louisville home sales”. 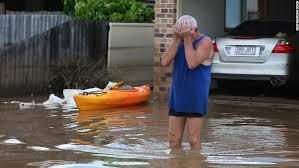 Flooding and Flood Risks: Map Changes and Flood Insurance Click Here…. If they would quit building homes, businesses and offices in flood zones there wouldn’t be much of an issue anymore. Why risk it? Dean – most of those homes were built decades ago. If someone builds in a flood zone today they know that they are at risk. Thanks for stopping by. Fantastic resource for homeowners, Sharon! I just wanted to add that the Housefax Property History Report includes information on whether or not a home is in a flood zone. People who are in the market for a new home can get a free report at Housefax.com.